Also known as adhesive capsulitis, frozen shoulder makes the shoulder joint difficult to move while causing pain, eventually resulting in the shoulder becoming very difficult to move. Frozen shoulder is most common in middle-aged people from ages 40 to 60, and is more common in women than men. Those who are diabetic are also more likely to develop frozen shoulder. When adhesive capsulitis occurs, the area of the shoulder called the capsule becomes thicker than usual, causing it to feel stiff and tight. That thickening can also push some of the lubricating synovial fluid from the joint, worsening the stiffness. 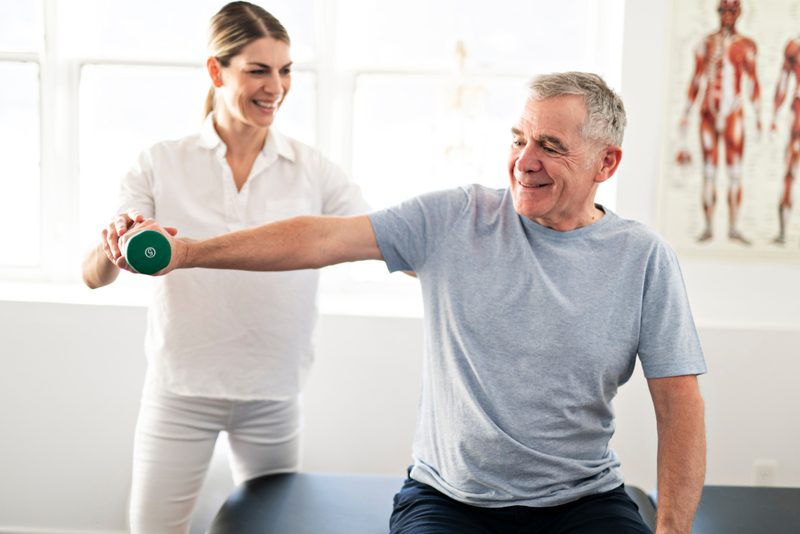 You can expect dull, aching pain from a frozen shoulder, and that pain is typically more severe in the early stages of the disease and when you try to move your arm. Pain is typically isolated to the outer shoulder and the upper arm area. Though adhesive capsulitis typically resolves itself with time, it can take years to fully heal on its own. Treatment should be focused on pain management and restoration of motion and strength in the shoulder joint. Shoulder arthroscopy – Using three small incisions around your shoulder joint, your surgeon will cut through the portions of the shoulder capsule that are too tight. A combination of manipulation and arthroscopic means typically yield good outcomes. If you’re experiencing shoulder pain or suffer from another orthopaedic condition, request an appointment online or call (904) 825-0540 to meet with one of our shoulder specialists. Board certifications in Orthopaedic Surgery and Sports Medicine. Dr. Volk specializes in an all-arthroscopic rotator cuff repair of the shoulder.